Interns usually work in science coordination or knowledge communication and public relations. This time, at the interface of public relations and project work, the tasks for the intern My Linh Pham include a media analysis in plastX. The analysis is embedded in the research on marine litter governance (see also the recent article Vietnam’s island Phu Quoc). Guiding questions for the analysis are: how is the Vietnamese media scene set up? And what’s in the news on plastic and marine waste? Since articles are mainly in Vietnamese, an additional task is translating relevant articles into German. I am an intern at the ISOE for two weeks and I honestly feel extremely honored to be involved in the project plastX. 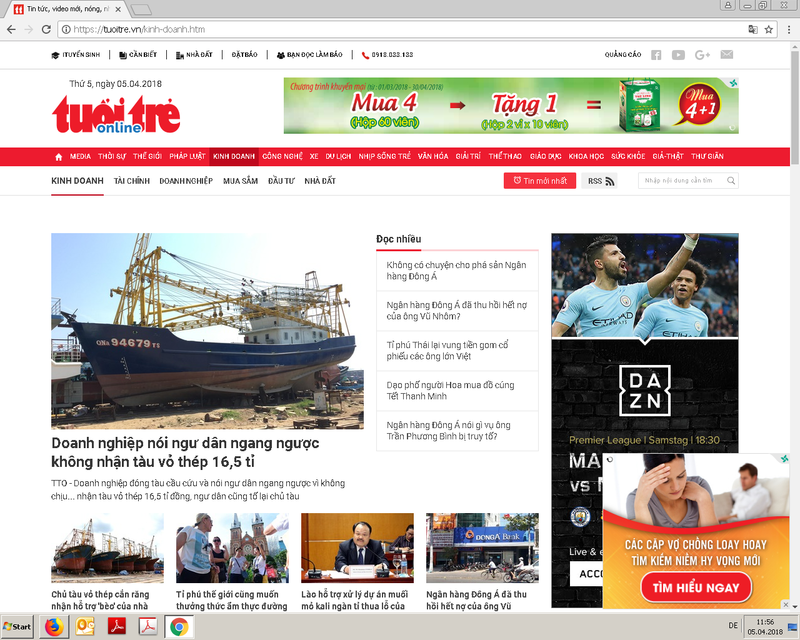 To be more specific I conduct a media analysis about the trash handling on the island Phu Quoc in Vietnam by reading and analyzing a lot of online newspaper that talk about the trash that is regardlessly thrown into the ocean or on the streets. Translating the reports in German is a perfect exercise for me but maybe also a good support for my colleagues in plastX. To my advantage I am able to speak, read and understand Vietnamese that’s why I cannot only collect the English or German speaking information; I can also delve myself into the media environment of Vietnam and get to know the behaviors and knowledge of the people talking about their own surrounding. Furthermore, I get to listen to the interviews that have been done by my colleagues so I get really close to the actions. By this, I also receive a completely new perspective about the situation and how the people who live there think and act concerning the environment. That is especially interesting as some of my family lives in Vietnam. Although I only work here for two weeks I get to see behind the curtain not only of the ISOE but also into the exciting projects that are presented. Knowing that there are people who want to do something good for our earth motivates me to do the same. During my internship I already got to know a lot of things, for example how a research company is set up I am also welcomed to meetings and it is fascinating to sit right next to the senior researchers, researchers that already achieved a lot and published so many books and research findings or students who just started their scientific career but who also want to achieve as much as the others did. For me personally, I can say that I can take a lot with me for my future. By doing so much research about my homeland I do feel a little bit closer to it now. And fortunately I was able to improve my Vietnamese. I am lucky that I was able to work with these friendly people and that I gained an insight to the projects especially of the project plastX. For me this project is really thought-provoking and it makes me realizing that we have to be more careful with our planet, because it´s OUR earth and we have to take the responsibility for it.